One late night in 1986, my friend Charlotte and I were in a club called Cowboy’s in Bossier City, Louisiana. As we sat drinking beer and watching people, I suddenly said that within twenty years (when we were each settled with kids of our own), it just might be acceptable for one of those kids, or a kid down the block, (let’s call her Shirley) to announce at the dinner table that she plans to take Tina to the prom. Charlotte made a little uncomfortable laugh and said that surely that would never happen. 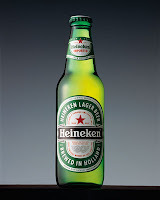 She said, “I cain’t believe the thangs you come up with!” After quickly glancing around, she went back to peeling the label off her Heineken bottle. She's a physician now. I don’t remember why, in 1986, I was thinking about people like Shirley and Tina going to the prom in 2006, but I do remember the comment because, in many parts of our world, it has come to pass. My intense people watching may have turned overly contemplative. I may have been thinking about how unacceptable the things I was busy doing would have been to my grandparents twenty years earlier. Perhaps I was simply getting bored; I believe I was dancing on a giant speaker soon afterwards. I didn’t know what gay was until the 1976 election. I overheard my father say that Jimmy Carter was supportive of it. I noticed that he whispered when he said it. I was ten years old. By 1986, information on the topic still traveled in hushed tones. Certainly, bringing it up in a club called Cowboy’s on a Saturday night in the Deep South led to suspicious glances and head turns to see if anyone was listening. Some people still believe it’s downright sinful to love people in ways that don't particularly make sense to them. I know these people. If you met them, you would likely conclude that they’re wonderful, mighty kind folks. These are people who talk pleasantly to strangers in the grocery store line. They would babysit your kids for free. These people have aberrations of their own and know it, so why can’t they grasp that the universe is a little more complex than black and white, good and bad, angels and demons? Many leaders of the free world don’t pretend to know the machinations of the universe so how have these grocery line chatters been able to figure it out so damn well? Why are they so comfortable casting stones? Sadly, love seems somehow forgotten in its own trial. Love is complex, and it strikes at the oddest times. Can you love, or be in love, with more than one person at a time? Do you love your second child any less than your first? Do you love your mother more than you love your father? Intensity levels for those we love may vary at times, or all the time, but in its purest form, the human heart is an ever expanding tool. The limits are those imposed by society, circumstance, genetics, and sometimes ourselves. And the heart is not a cookie-cutter tool plopped into each of us on an assembly line just before we’re sewn together from head to toe. If we can love our children, parents, dearest friends, and grandparents in unique ways, couldn’t a woman love more than one man ... in different ways? How about another woman? Are there limits to what a heart might possibly feel? Could your neighbor’s tool be wired a bit differently from your own? Could the tool in my chest actually enable me to experience an emotion that you may not be capable of, and vice versa? Love is love is love, and once a certain variety takes root, must we judge its expression between two adults? Are You My Mother? 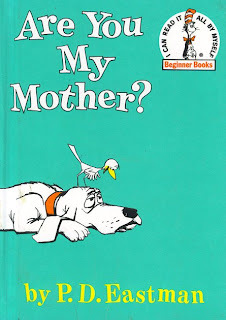 was one of my favorite childhood books. Written by P.D. Eastman, this classic story follows a confused baby bird who’s been denied the experience of imprinting as he asks cows, planes, and steam shovels the Big Question. He doesn’t know what mother is but he knows it’s missing. Lack of consistent maternal imprinting also causes Angel, the protagonist in Aberrations, to search for mother. In my novel, mother is defined as something soft and warm, accepting and positive. I looked mother up in the dictionary and wasn’t satisfied with the results. They all seemed to use the word mother or maternal without capturing the essence of it. Do you recall being six, crying over a skinned knee? Mother was the emotion you drank in with that big, soft hug that only she could give. Mother is unconditional love, acceptance, and hope exuding from skin that smells and feels familiar, encircling you until you know that everything will be all right, that you will be all right. It may be the purest experience of love we ever have. Angel realizes a critical emotion is missing from her life, and she craves it. Her intense need to find it, and her loneliness, enables her to accept and understand feminine love in another realm. She later learns that mother, true love stripped to its emotional core, can come in many forms. Being a mother is complex and not having one certainly doesn’t make you gay or lesbian. But the powerful bond between mother and child impacts us in surprising ways. And loneliness causes us to do things we might not choose to do otherwise. Sometimes the actions leading to salvation are unique. Sometimes they include things that wonderful, mighty fine folks may not understand. But if life truly is a journey riddled with a hierarchy of needs, driven by unique hearts that beat like tools, must we be ashamed of the roads we find ourselves tiptoeing or running down? Perhaps in twenty, forty, or fifty years, we’ll all meet at the feet of God and see how silly we were to ever believe we had love figured out.